Wanting to Share the Gospel? Able to trust God in all circumstances?
. . . then 7 Days in Kosova is for you. "Kosova was on our TV screeens in 1999 when over 10,000 men and young boys were killed leaving many widows and children traumatized and their lives in ruins. We have been visiting there over the last 8 years and have been blessed to try and bring hope to those we meet when we go. We go to share Christ's love with whoever and from any background and provide them with some aid and support. 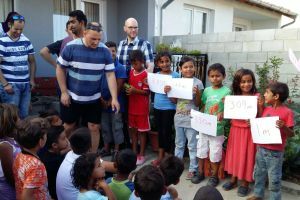 Most importantly we give them recordings of the story of Jesus in their own Kosovan Albanian language on CD, DVD and mobile phone showing that God loves them and has not forgotten them." Some orientation at GRN UK before travel from London to Kosova. 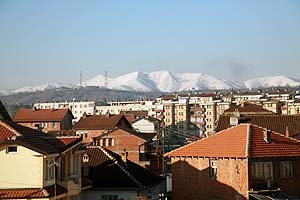 We work alongside with a local church in Gjakova about 1 hour from the capital Pristina. During the week we do lots of things including, visit ROMA villages, do kids clubs, youth events, visits schools, distribute our recordings, widow/ladies days and give out humanitarian aid to the poor families there. We have good fellowship as we encourage the local churches, plenty of laughter and some tears too. Take part in the local church events during the week and on Sunday. Enjoy meeting the local people's who show wonderful hospitality despite having so little. Team members are expected to inform their local church of the mission trip to gain prayer support and encouragement. Some church members may also be interested in contributing financially to enable members to go and to contribute towards the aid and the recordings of the Gospel being given to the people. If you are interested in this opportunity contact Kenny McKee at Global Recordings Network UK. Or check out our other short term mission opportunities at globalrecordings.net/shortterm. 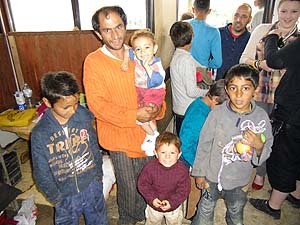 Kenny and the team head to Kosova to deliver humanitarian aid and the gospel. 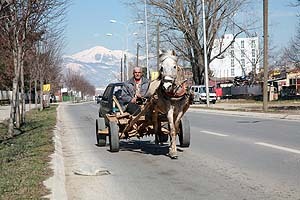 Kenny McKee leads a team of 9 people to Kosova to bring Good News to the people . . .